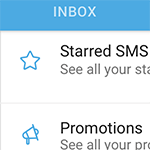 SMS Organizer, a Microsoft Garage Project, is a FREE App that helps you focus on the SMS important to you. Smart Reminders. You will be reminded of upcoming travel, movies and bill payments using information in the SMS through timely reminder cards and notifications. 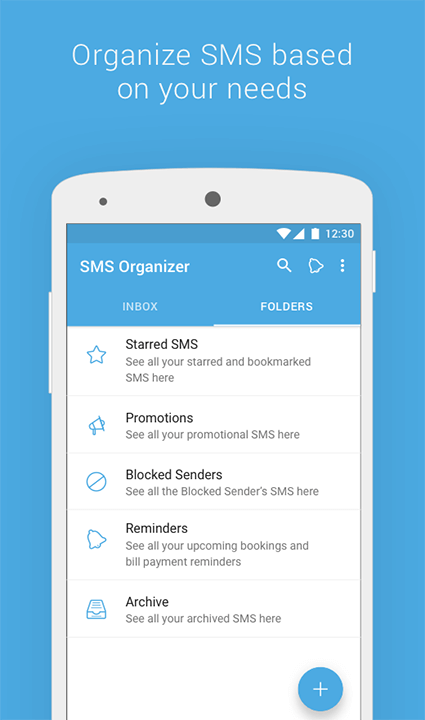 Organize your SMS. 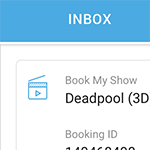 Your Inbox is cleaned by categorizing your SMS into Important and Promotional categories using ML models and placing them in separate folders. Customize your Inbox. 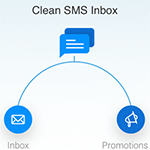 You can favorite SMS for quick access, block spam senders and mark senders as promotional. 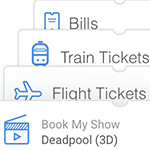 Further, you can control the level of notifications depending on SMS type. Offline. The app is built to work perfectly offline i.e. without an Internet connection. All classification and reminder creation happens on the device. 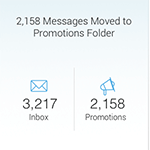 "We help you focus on the SMS that's important to you." 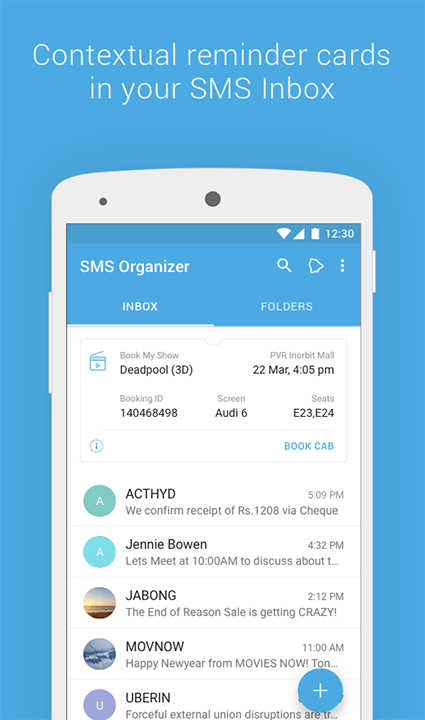 SMS in India is what email is in the rest of the world. India is a mobile first market with very high mobile penetration. Internet penetration, though, is still not there yet, making SMS the best tool for businesses and government agencies to communicate with people. Every transaction with a business or a government entity triggers an SMS. 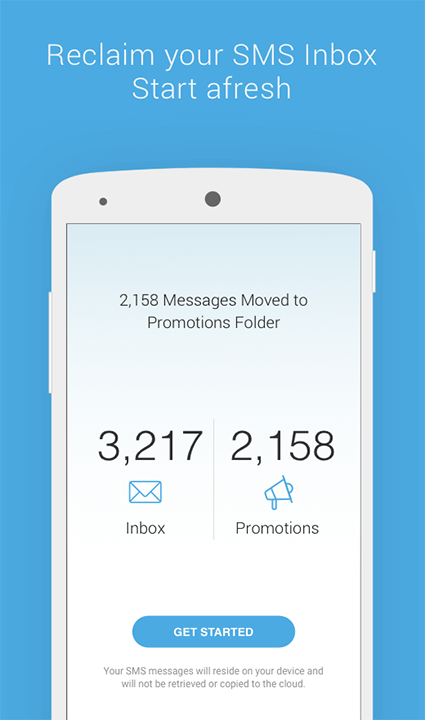 Additionally, businesses send several promotional messages each month cluttering up an already busy SMS Inbox. 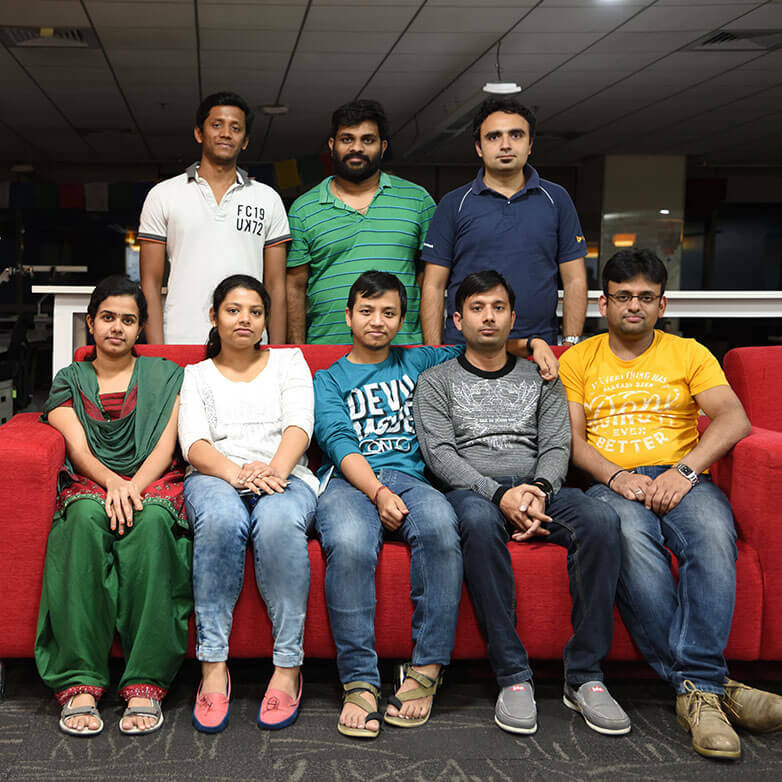 Given the growing importance of SMS in an Indian user’s life, we wanted to create an application that makes it easier for a user to manage their SMS. 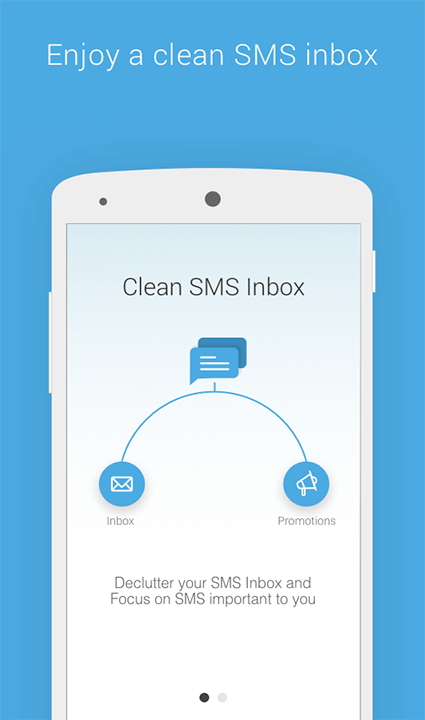 We did this by creating an app that cleans the SMS Inbox by classifying, and interpreting SMS to help users focus on the SMS important to them. 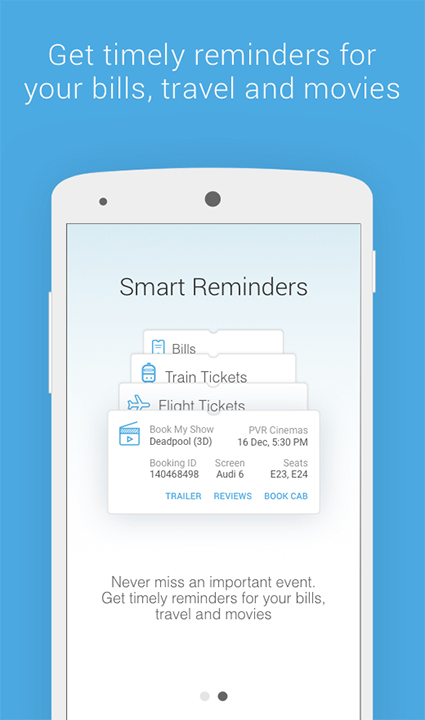 The app has been designed keeping in mind the Indian mobile user’s needs in mind. It is lightweight and is built to work completely offline. It does all the classification and interpretation on the device i.e. without uploading any SMS to the cloud for processing. It respects user’s privacy by not uploading any SMS or meta information about the SMS.